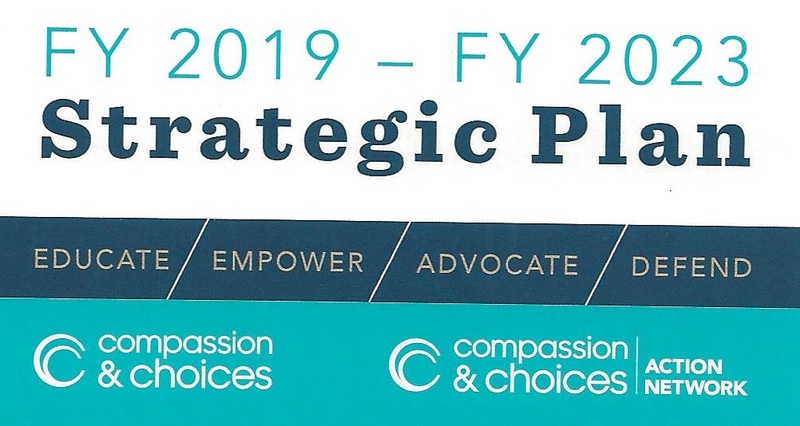 Compassion & Choices has released a strategic plan for the next five years. A society that affirms life and accepts the inevitability of death, embraces expanded options for compassionate dying, and empowers everyone to choose end-of-life care that reflects their values, priorities, and beliefs. Compassion & Choices improves care, expands options, and empowers everyone to chart their end-of-life journey. 1. Half the U.S. population lives where medical aid in dying is an open and accessible medical practice. 2. More patients can access the care they want – nothing more or nothing less. 3. We continue to grow the diversity of the movement in the areas of race, religion, party affiliation, and age.